Jess creates a safe space for women to reveal their most authentic selves. She longs for all women to collectively embrace themselves and each other. Her deepest wish is for women to admire themselves and connect with their feminine wisdom. 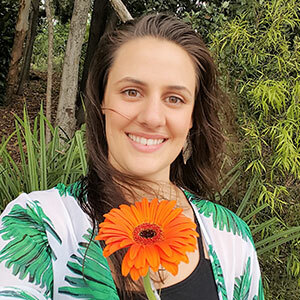 Jess is a KaHuna massage therapist, Yoni Mapping practitioner, mentor for young girls, a sister, daughter and womens’ wellbeing advocate. She believes in raising each other up, sharing our stories and walking alongside one another through this crazy thing called life. After sitting in dozens of womens’ circles and connecting with many women on her massage table, she is blown away by the beauty of woman. Jess’ is a deep listener who invites others to be authentic in her presence. She loves to move and connect with her body and to find new ways of exploring herself. She courageously and graciously walks through life and is inspired by the incredible spectrum of people she meets along the way. Jess is called to this work as a Yoni Mapping therapist knowing how powerful it is to allow our deepest feelings and desires to be expressed. She has experienced first hand how transformative it is to be fully seen without judgment and instead, embraced by love. “ Yoni Mapping Therapy is a whole other level – it’s loving, nurturing, respectful, intuitive, safe and self-loving. Its so present, aware, mindful, honouring.